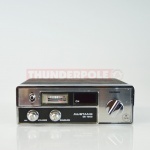 Thunderpole offer a large range of used, pre-loved CB Radios at great prices. We conduct a thorough quality check on all of our second hand items, then service and tune them in our workshop for optimum performance. All of our pre-loved CB radios come with a three month warranty, ensuring your peace of mind. 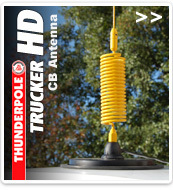 We also supply a microphone and power lead with all radios so all you need to purchase is a suitable CB antenna.